Having failed to win the $900 billion jackpot last weekend, I was absolutely convinced I was going to win on Wednesday night and become America’s newest billionaire, or more accurately, America's newest $1.4 billionaire! I figured the odds were on my side. 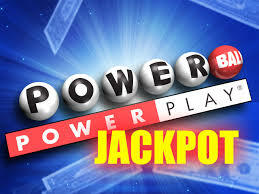 After all, I have been buying Powerball tickets for years and have never won, not even when the grand prize was a measly $200 million dollars. Eventually, I am going to win, and I’ve already determined exactly what I’m going to do when this happens. First, I will quit practicing law. For years I’ve seen the Powerball grand prize winners being interviewed on TV. They invariably announce that despite the fact that they have just won hundreds of millions of dollars, it is not going to change their life at all. They are going to return to their jobs at the Acme Rocket Sled Company or the law firm of Dewey, Cheatum and Howe, or the nail salon, or wherever they work. Well, no offense to my fellow shareholders and co-workers at Lewis Thomason, but when I do finally win the jackpot of the Powerball lottery, I will not be making any more appearances in Court or at depositions or even in conference calls where most of the participants sleep. This does not mean I am going to quit working. I’m going to work very hard at my new job as CEO of the Bill Haltom Foundation, a charitable organization that will sponsor a needy family, namely the Haltom family. But otherwise, I’m not going to change. I’m just going to be the same Bill Haltom, or more accurately the new Donald Haltom, you’ve always known and loved. Now if you’ll excuse me, I’m going to go out and buy another lottery ticket, and then return to the office. But I won’t be there for long. Frank Crawford: When you win, can I be your spiritual adviser?